Kathryn McElroy is an award-winning Creative Director at argodesign, a design and invention agency in Austin, TX, where she envisions the future and develops products and strategies for a wide variety of clients. 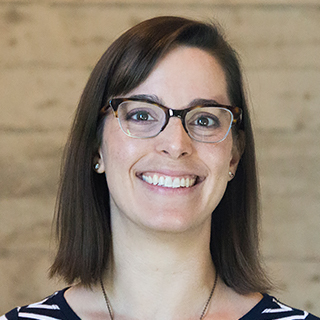 She is the author of Prototyping for Designers (O’Reilly) and has employed user-centered methodologies to create and iterate on impactful experiences in health wearables, AI interaction patterns, AI image recognition and training interfaces, and cloud development tools, while working on world-class design teams like IBM Watson Visioneering and IBM Mobile Innovation Lab. Kathryn has gained recognition as one of Austin’s Top 50 Female UX Designers and as part of the Advisory Board for the inaugural Austin Design Week. She’s been featured in articles in Fast Company, Time Out New York, Architect Magazine, ArtInfo, Make Magazine, and the Visual Arts Journal. Kathryn passionately teaches about the value of prototyping and testing assumptions throughout the design process, for both screen-based and electronic products. She loves introducing UXers to electronics as a prototyping tool, and her favorite part of this workshop is the delightful surprise a participant feels when she completes her first circuit. She can’t wait to show you how! The intersection of physical and digital products is exploding with ideas, and building and testing prototypes is the best way to vet and develop those ideas into valuable, impactful products. Come learn about prototyping for physical products with Arduino, an open source-electronics platform. By combining your UX skills with this platform, you’ll add a new dimension to your prototyping skills and create physical, interactive experiences beyond the screen. At the workshop, you’ll get your own Arduino starter kit along with all the materials you need to build your first circuits and a low-fidelity prototype, and you’ll leave with the kit and the knowledge to keep building when you get home. Please bring your laptop, and install the Arduino software before you arrive (https://www.arduino.cc/en/Main/Software).